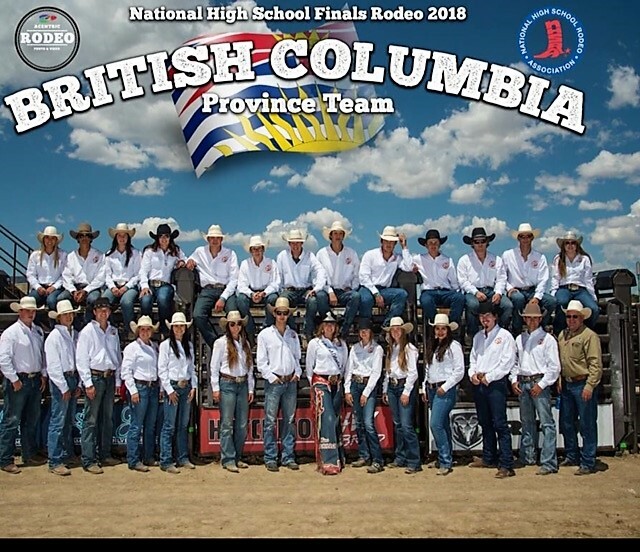 High school students from all over BC compete in regional Rodeo events between September and June concurrent with the school year. High School Rodeo members practice and compete in their events, while learning from each other and creating friendships that will last a lifetime. In June BCHSRA Finals are held, where students compete to earn prizes and scholarships for all their hard work throughout the season. The top 4 competitors in each event qualify to participate in the National High School Rodeo Finals held in the USA in July. In July, the top 5 competitors will also qualify for the Canadian High School Rodeo Finals held in Nanton, Alberta this year. We pride ourselves in making High School Rodeo a rewarding and fulfilling experience for our competitors. Education is very important to our association and we strive to present many bursaries and scholarships for our graduating class. Awards are also given out to the top five competitors in each event. To start each High School Rodeo, the students run a Grand Entry to showcase the flags of the sponsors who’s generous support make HSR possible. **NOTE: Members transferring to a different province or state than they reside, must have signed transfer form from both National Directors submitted with their membership application. Transfer Form on the Members – Forms page of the website.